Publications - Winston & Winston P.C. ** Discounts are available for the Guide Contact for more details. The Complete Guide to Credit and Collection Law, 2016 Edition (ISBN: 978-0-9976841-0-0) is a comprehensive effort to answer these questions. Updated almost yearly since 1996 and packed with useful tips and tools, this thorough 2,500+ page guide is recognized as the industry’s most comprehensive reference manual. 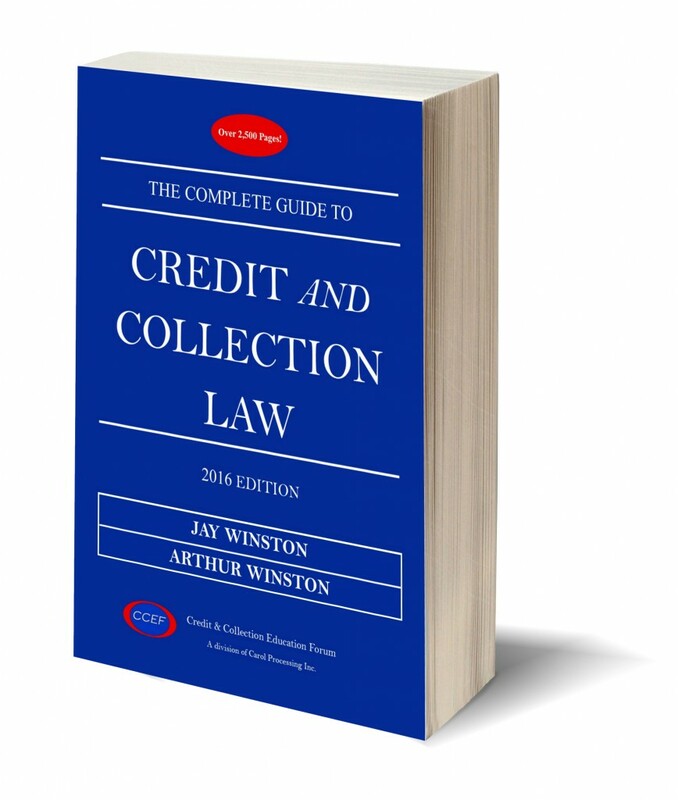 The Complete Guide to Credit and Collection Law, 2016 Edition can help you raise collection rates, reduce costs, and achieve compliance with the ever-changing law. In 2004 the Honorable Roger M. Whelan reviewed the Guide for the ABI Journal, noting: “This guide is a must-read and more importantly should be treated as a comprehensive reference to the ever-expanding law in all areas of collections.” In 2009 the 9th Circuit Court of Appeals cited the Guide as a recognized treatise.